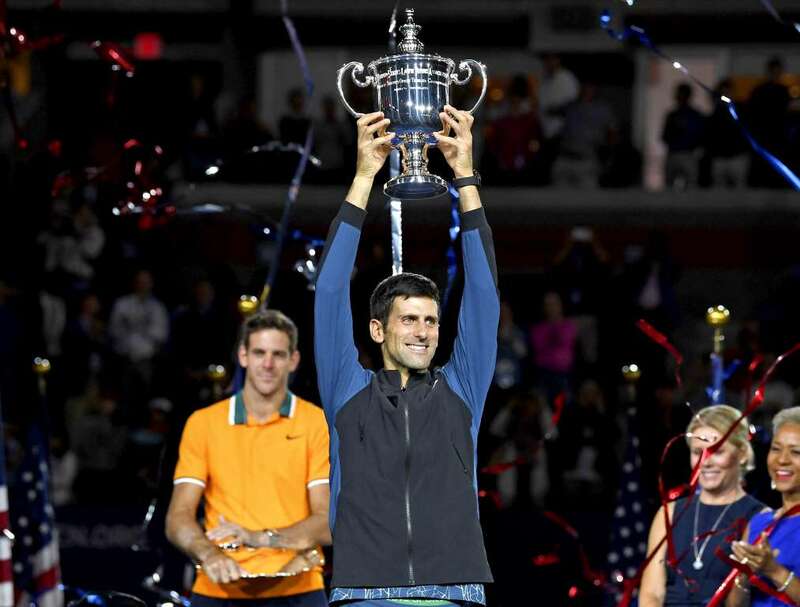 Novak Djokovic holds the championship trophy after defeating Juan Martin del Potro, in the men's final of the U.S. Open, on Sunday in New York. Djokovic won 6-3, 7-6 (7-4), 6-3. Aaron Rodgers of the Packers throws against the Bears, on Sunday in Green Bay, WI. 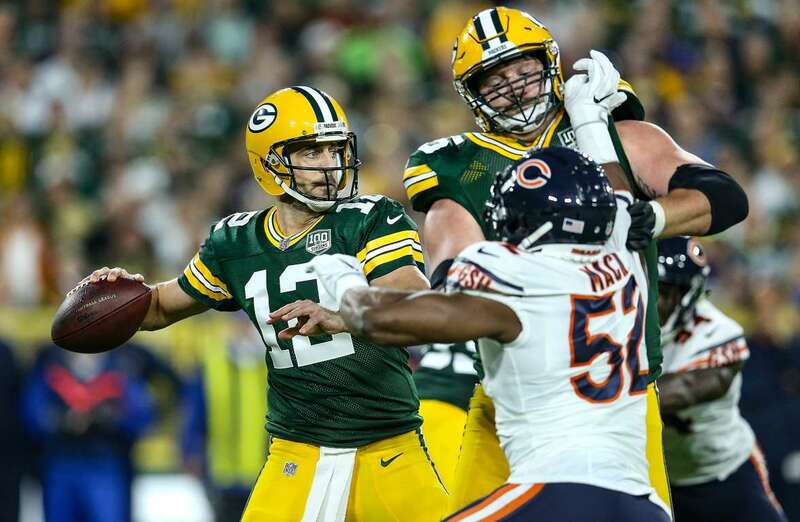 The Packers won 24-23. The Red Sox's Brock Holt (left) douses Mitch Moreland after Moreland's game-winning RBI single against the Astros, on Sunday in Boston, MA. The Red Sox won 6-5. 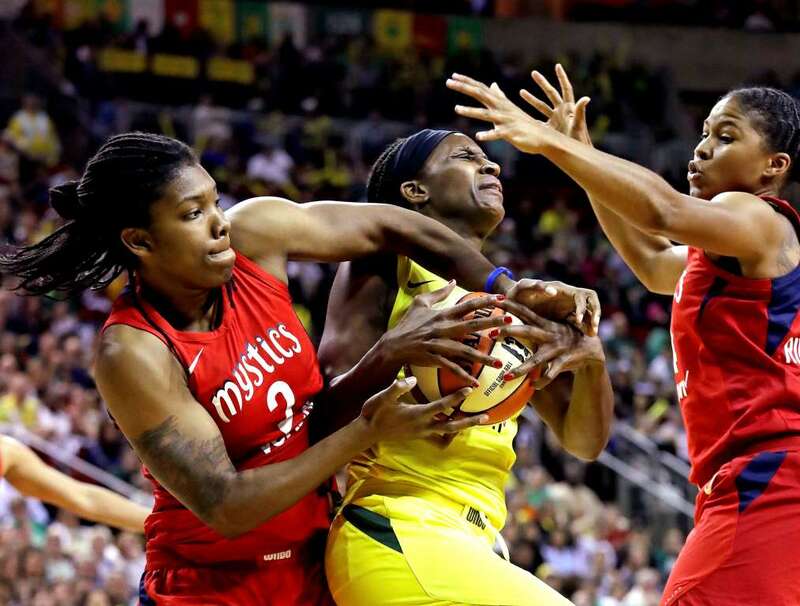 Seattle Storm's Crystal Langhorne (center) battles with Washington Mystics' Myisha Hines-Allen (left) and Tierra Ruffin-Pratt for possession during game 2 of the WNBA finals, on Sunday in Seattle. The Storm won 75-73 and lead 2-0 up in the series. 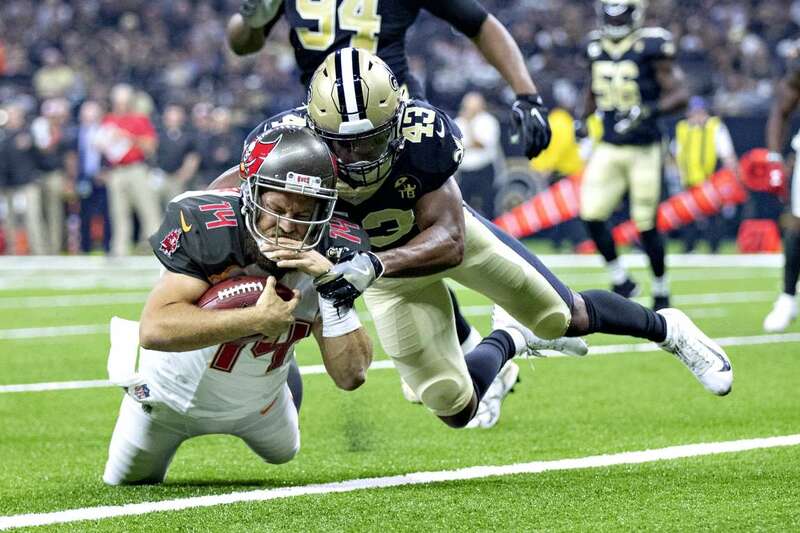 Ryan Fitzpatrick (bottom) of the Buccaneers runs the ball for a touchdown and is tackled by Marcus Williams of the Saints, on Sunday in New Orleans, Louisiana. The Buccaneers won 48-40. 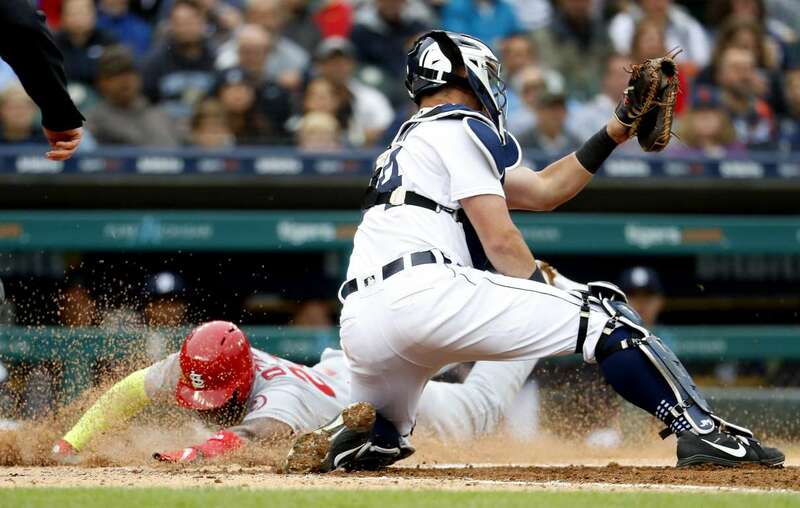 Marcell Ozuna of the Cardinals (left) slides safely home as the Tigers catcher James McCann receives the throw, on Sunday in Detroit. The Cardinals won 5-2. 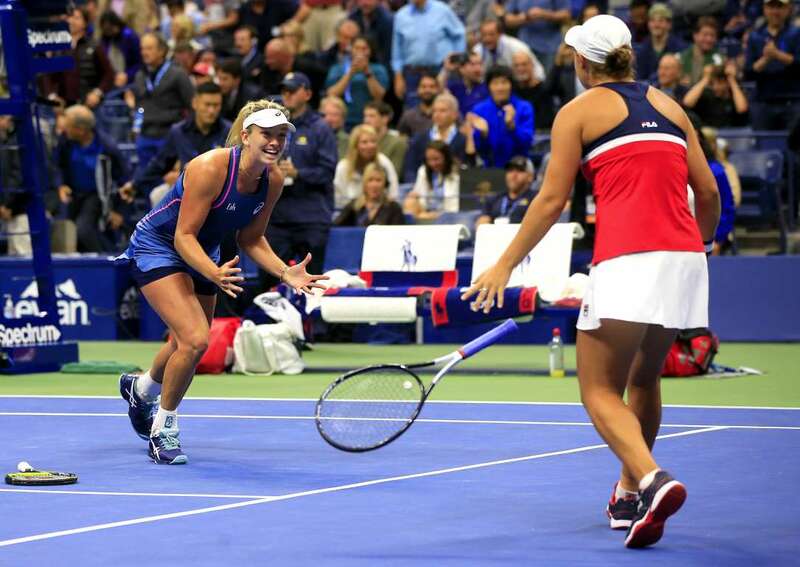 CoCo Vandeweghe of the United States and Ashleigh Barty of Australia celebrate winning their Women's Doubles final match against Timea Babos of Hungary and Kristina Mladenovic of France (not pictured) during the US Open, on Sunday New York. Coco and Ashleigh won 3-6, 7-6 (7-2), 7-6 (8-6). 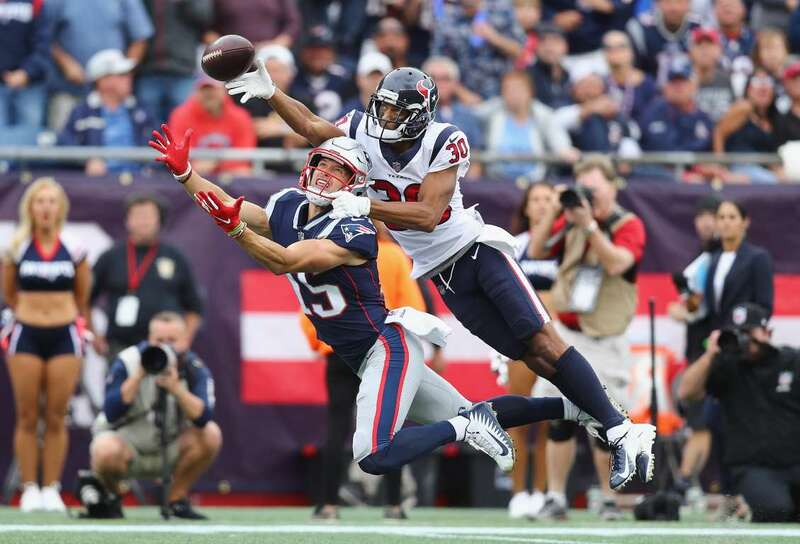 Kevin Johnson of the Texans deflects a pass intended for Chris Hogan of the Patriots, on Sunday in Foxborough, MA. The Patriots won 27-20. 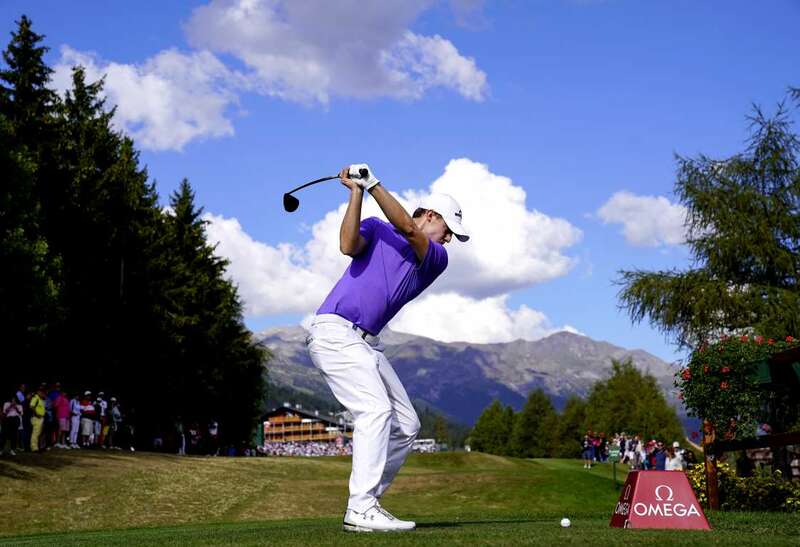 Matthew Fitzpatrick of England plays a shot on the 18th hole during the final of the Omega European Masters, on Sunday in Crans-Montana, Switzerland. 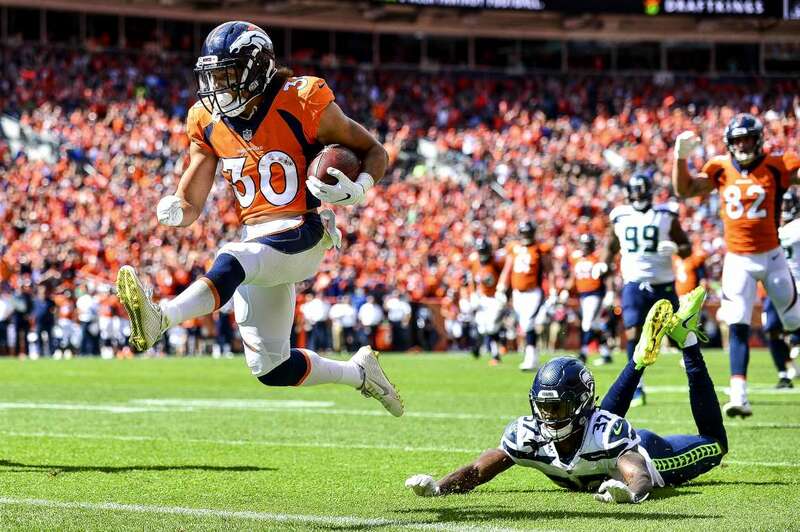 Running back Phillip Lindsay (30) of the Broncos scores a first quarter touchdown on a reception as cornerback Tre Flowers (right) of the Seahawks falls to the ground, on Sunday in Denver, CO. The Broncos won 27-24. 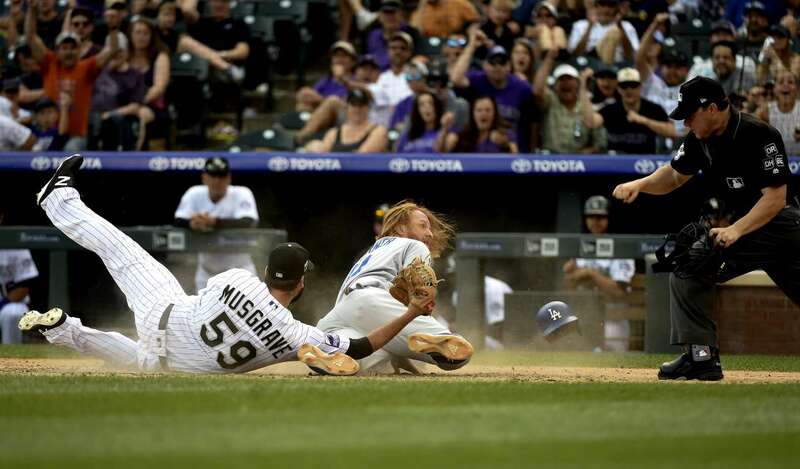 The Dodgers' Justin Turner is tagged out at home plate by the Rockies' Harrison Musgrave (59) after a wild pitch to the backstop, on Sunday in Denver. The Dodgers won 9-6. 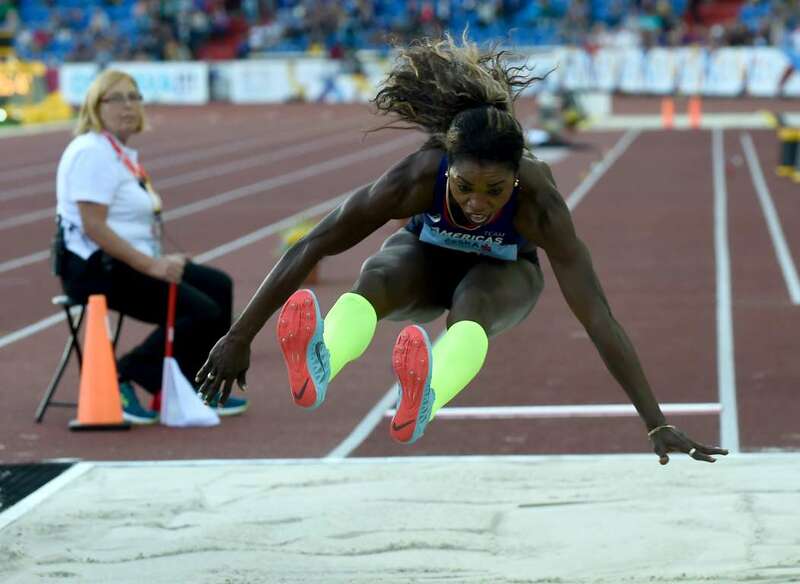 Caterine Ibarguen of Columbia from Team Americas competes during the Long Jump Women race at the IAAF Continental Cup, on Sunday in Ostrava, Czech Republic. 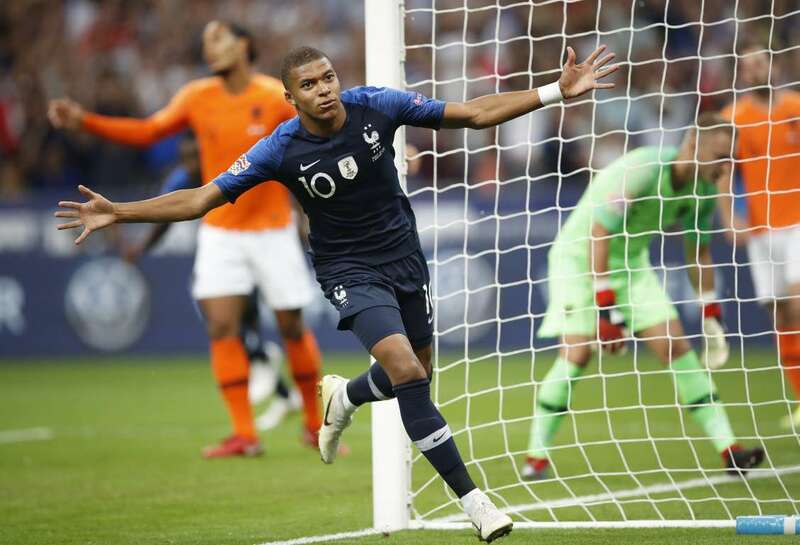 France's Kylian Mbappe celebrates after scoring his side's opening goal during the UEFA Nations League against Netherlands, on Sunday in Saint-Denis, France. The hosts won 2-1. 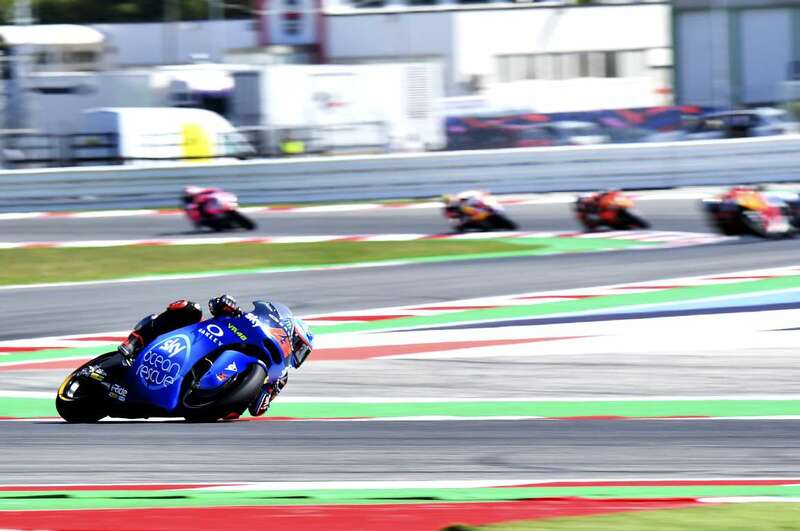 SKY Racing Team's Italian rider Francesco Bagnaia leads during the Moto2 race of the San Marino Grand Prix, on Sunday in Misano Adriatico, Italy. 2014 World Champion Gabriel Medina of Brazil competes in the Surf Ranch Pro, on Sunday in Lemoore, CA. Peru's Jefferson Frafan (left) misses a chance to score against German goal keeper Marc Andree per Steven during a friendly soccer match, on Sunday in Sinsheim, Germany. Point blank miss Peru's Jefferson Frafan (left) misses a chance to score against German goal keeper Marc Andree per Steven during a friendly soccer match, on Sunday in Sinsheim, Germany. 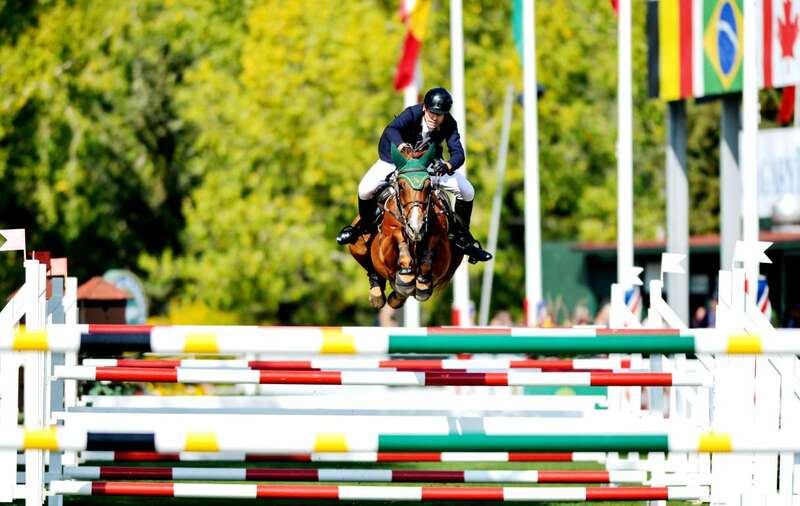 Rowan Willis of Australia riding Blue Movie competes during the CP 'International' Grand Prix on Sunday, in Calgary, Alberta, Canada. Dario Cataldo of Italy and Astana Pro Team competes during the 73rd Tour of Spain, on Sunday in Lagos De Covadonga, Spain. 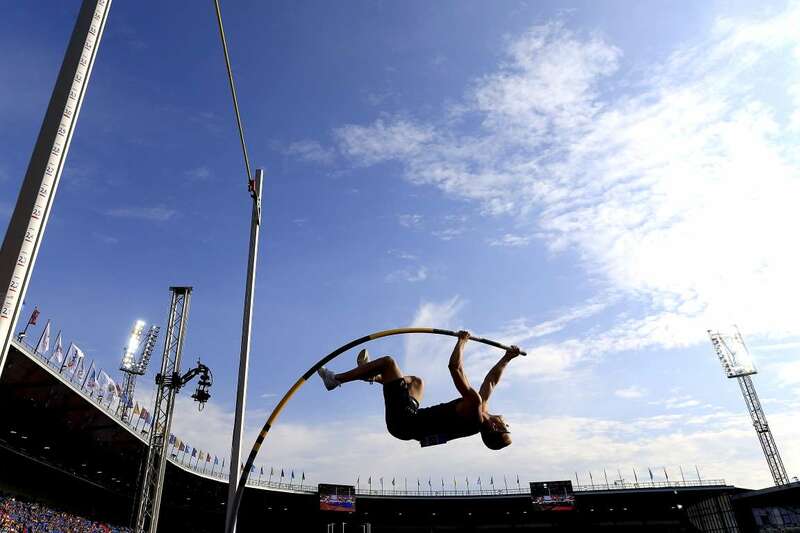 Sam Kendricks of Team Americas competes in the Men's Pole Vault during IAAF Continental Cup, on Sunday in Ostrava, Czech Republic. 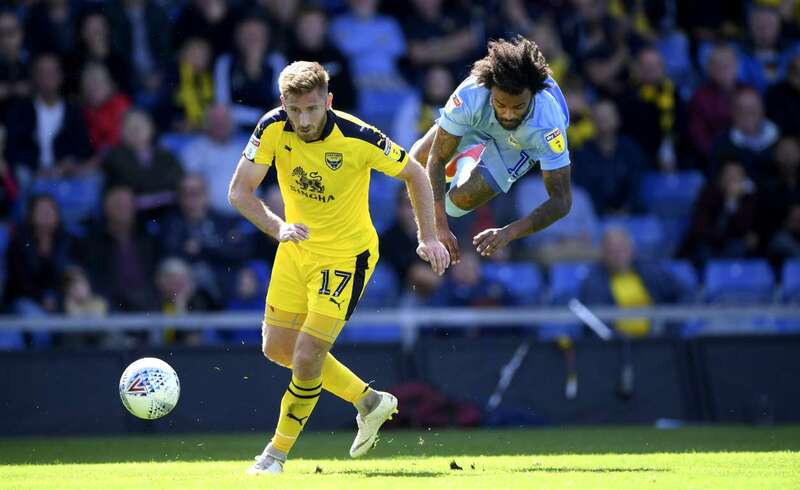 Oxford United player James Henry (left) is challenged by Coventry City player Junior Brown during the Sky Bet League, on Sunday in Oxford, Britain. Coventry won 2-1. 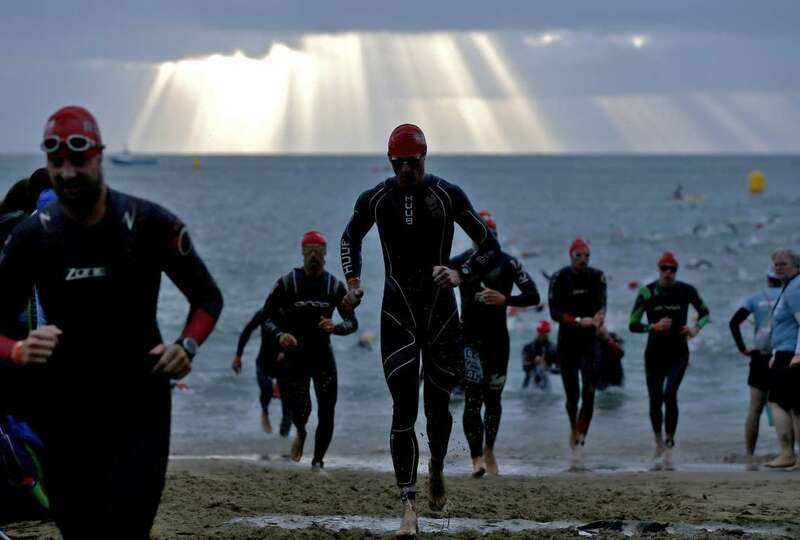 Athletes compete in the swim section of Ironman Wales on Sunday, in Tenby, Wales. Out of the blue Athletes compete in the swim section of Ironman Wales on Sunday, in Tenby, Wales.